Hard work was inculcated. My burning desire to learn piano resulted in being given a typewriter so I could earn a living. In order to earn a living, I’ve held many job titles over the decades since I was a young teenager. 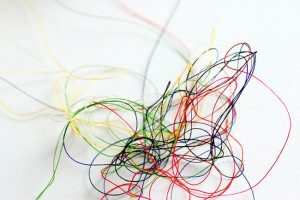 Life brought many transitions and the path has not been a straight line, but I wouldn’t say that it has been a twisted tangle, either. There has been a thread that has moved through all the transitions and me. This thread brings me to the point where I am currently contemplating a new job title. The most important and the most beloved title I’ve ever held is Mother. This job is in my blood, bones, and breasts. It is the work I have been most passionate about and the largest part of my identity. Job descriptions have varied: new mom, mama, mom, single working mom, motherrrrrr (you know that teenage period), and now Mom Emeritus. The kids are independent adults living elsewhere. I never imagined what it would be like to work myself out of this job, but now I know. Throughout my adult life I earned a living in health care with a variety of titles, job descriptions and professional licenses. From 20 to 30 years old I worked as a Cardiac Intensive Care RN (bells, whistles, and defibrillators) in the Ozarks, an ICU RN in San Francisco (floating to all the hospitals so none of them owned me), and then as a visiting nurse in San Francisco (fascinating to see so many cross sections of the City in the 80s). One must have passion to work so hard and let me say that there is a great deal of creativity in moment-to-moment problem solving in such environments. I studied hard, learned a lot, worked extremely hard, and I remain grateful for incredible experiences and lessons in living and dying. I was very young when I learned – up close and personally – that life is short, precious, and subject to termination without notice. I still remember patients I cared for in the 1970s. However, I became frustrated with working conditions, lack of respect, lack of autonomy, and I wanted to do more. So, off to graduate school I went. I became a Nurse Practitioner (in a variety of settings and roles, some great and some not so great) and then Educator at a major academic graduate program (that was pretty great). Again, I loved the work and the patients. And I was passionate about teaching, creating curricula, mentoring budding clinicians, and the amazing opportunities that came my way and that I created. However, there was never any guarantee about the faculty position, NP roles and issues were changing, and life in San Francisco was simply unaffordable. In the end, a number of factors contributed to knowing that I could not continue doing what I was doing and so after trials, tribulations, and considerable consternation about recreating myself, I was off to graduate school again. This time around I was a single mom of two wonderful school aged kids and I was working full-time plus to keep us afloat. I loved studying, learning, and absorbing everything I could in my new field. I was passionately engaged in raising my kids and what I was learning. I knew that the first round of graduate education produced less income than I would have earned without the degree but I was hopeful and excited about this second round, working as a psychotherapist, and leaving the urban jungle. There were a number job titles (Intern, Staff Therapist, Behavioral Health Therapist, Domestic Violence Advocate, Psychotherapist, Behavioral Health NP) and, again, a wide variety of practice locations, roles, and variations on the theme. And, again, as with nursing, some roles worked for me and some roles worked against me. I don’t do well in impossible situations, like watching the county repeatedly fail to intervene to help abused kids or provide desperately needed mental health services, not being paid enough to support a family, and working in hopelessly broken systems. I enjoyed providing depth psychotherapy for clients who wanted to make change in their lives. However, this can be isolating work in a small community and it wasn’t really paying the bills, let alone offering any possibility of not working until my last breath on this earth. I had achieved my dream of private practice psychotherapy and decided against the mountain range of debt it would take to pursue another degree and license in the hopes of better professional opportunities. 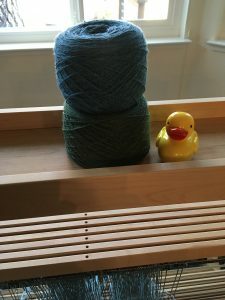 In the meantime, with the kids fledging from the nest, I had become an avid knitter, a spinner, and was carding and combing fiber and exploring dyeing. I had been able to find passion and creativity in teaching, which I had been doing since my CCU nursing days. And sometimes there is creativity in psychotherapy. After the University, other than my own private practice, work settings didn’t allow for creative problem solving. There was very little left of me after work so anything I did with fiber and the fiber guild was a very part-time passion. Meanwhile, I was quickly losing any passion for my work in health care and my patience for what was supposed to be a health care system was long gone. Perhaps in nearly 40 years of direct clinical work I had just sat with too much suffering. I was too young to retire, if retirement would ever be a possibility, anyway. So, I transitioned to one last job title in order to finish a few years in the state system to gain a pittance of a pension. I became a regulator of vocational education. Forget creativity. Forget sanity. Forget humanity because I certainly didn’t see any of that from my glass cage. That job about killed me. Hell of a way to cap off 40 years of licensed work in health care. I utilized every single coping tool and skill I had been using and teaching clients for a couple of decades. Still, that job left lasting scars. What it did for me, though, was illustrate just how very finished I felt with any sort of “professional” role and how important it was to enjoy what I was doing. I opted out as soon as feasible and “retired.” If you have read the “About” section of my website, you have seen the picture of me under the rainbow. That was taken just a few weeks after retiring. Now, mind you, I had absolutely no interest in any sort of job title at that point. My goal was to be at home, tending home, hearth, partner, and garden. I found sweeping the deck to be some of the most meaningful and mindful work I had done in a few years. I was happy, I was home, and I was content. And I wanted to learn tapestry weaving. Before undertaking the study of tapestry weaving I decided to play with my four shaft counterbalance loom. 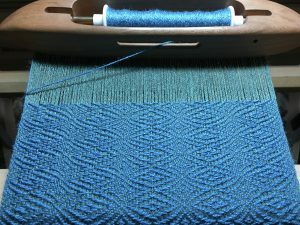 I had woven only a few things prior to living away from home Monday through Friday for that last job and thought that I would do just a project or two and then use the loom for tapestry, its intended purpose when purchased. I’ll skip over the frustration, confusion and trashed warps. 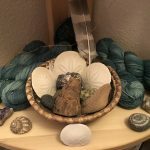 I did find Ravelry was a fantastic source of information and support for weavers and I began finding some help with my many questions. And then it happened. I got hooked. Of course, my incredibly enabling spouse really tipped the balance when he insisted I should go to weaving school and get a loom that worked better for me. What happened was that I regained a sense of passion once again: Passion for learning, exploring, creating, and problem solving. And it was joyful! I was playing with color and fiber in a different way than I had with knitting and spinning. Oh, to be sure, I was knitting and spinning and dyeing and could participate in the fiber guild again, but this was different. Now I just wanted to learn and explore. Be the perennial student, like I had so enjoyed in the past. I will be learning and exploring until my last breath, spirits willing, and this was a whole new field to explore. 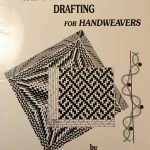 I will admit to an academic bent in this and that’s fine with me because it is always connected to hands-on at the loom. One thing leads to another and my enabling spouse has really led the charge on this one, and, as our tax attorney suggested, we diversified. 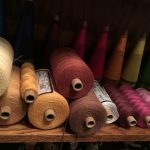 Looms have been bought and sold and Tamarack Counseling and Consulting has become Tamarack Fiber Arts. 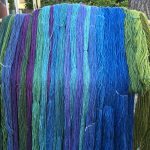 My passion for color and fiber, creating, and problem solving has taken on a life of its own! But with it came the consideration of a new job title. It has been interesting to set aside certifications, degrees, licenses, and life structured by the time clock of a regular job. This is the first time in my life to have such an opportunity. It has been fascinating to let the day shape itself, to follow my desires to play with color and fiber, and to see what I can create. Productive? Sometimes. Exploring? Definitely! Learning? Every day! Goals? Some, but I’m also learning to be gentle with that. For the first time in a long time, when I consider the “work” I am doing, I am An Si’th. I feel at peace, in harmony. My heart is singing again and it is in tune with the Oran Mor, the great song or vibration that holds the universe together. 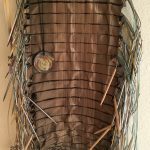 No longer in a tangle, I enjoy what I do, I am passionately exploring many facets of weaving and the fiber arts, and, even if in very small ways, I work to create beauty in the world as I continue to learn. 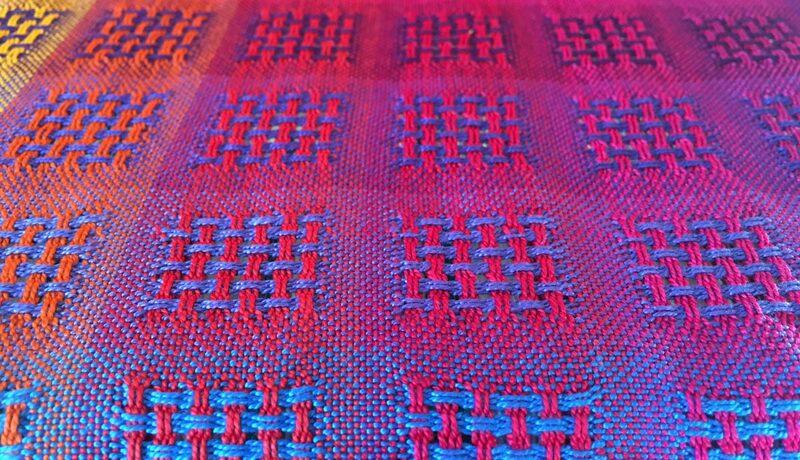 I will never run out of inspiration and things to do and study in the world of weaving. I can mindfully explore my way through the day. I once again have a good hold on the thread that runs through my life. And, so, my new job title is: Plays with Pretty String. I’ll leave you with this poem by William Stafford. People wonder about what you are pursing. Nothing you can do can stop time’s unfolding. Hello. My name is Donna. I am a fiberholic, an addict. Knitting was my gateway drug. Hallmarks of addiction were quick to be noted by loved ones. 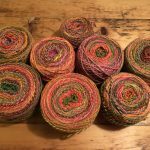 I was always thinking about ways to get more yarn or new needles and knitting was taking me away from domestic chores. Then there was knitting while I was supposed to be paying attention as a good soccer mom. Truth be told, I used knitting at work. At least until I was told I couldn’t knit at staff meetings any more. Knitting kept me calm and worked better than duct tape at those long meetings! 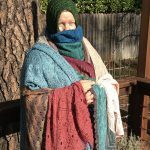 I kept a hard line about knitting while I was driving – no way! At least that I could think of. 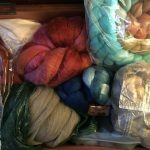 I did try to start a needle exchange at our LYS but the store thought it would be bad for business. I don’t think I would have made the leap to spinning for a long time except for the company I was keeping. My partner is the number one co-dependent enabler. He’s so encouraging! If you want to know how bad it gets, here it is: when he thought he was going to be laid off from one of his jobs he told me to get that new spinning wheel right away before the money was gone! And recently, when I was saying no way to spending money on a Woolee Winder, what does he do?? He hung out with other fiber addicts and listened to how great the WW is and then bought me one! From spinning it was on to hand cards and then a drum carder and more recently, an even better drum carder. Of course, there’s color blending and dyeing happening, too. So, yes, I was taking the substance in larger and larger amounts, spending lots of time procuring and using fiber and when I was stuck at work (the day job that pays for all this fiber activity), I did have cravings to play with fiber in one way or another. 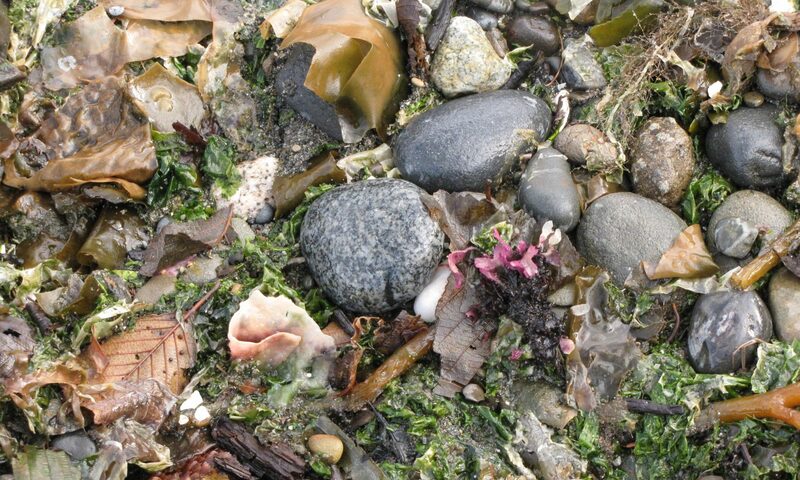 And daydreams of color and texture! I can’t (and don’t want to) get them out of my head. I did manage to fulfill my family and occupational activities, but sometimes not without a degree of resentment. Socially, well, I do best in groups of other fiber lovers. Otherwise, I am more likely to stay home and knit, spin, weave, or plan more projects. 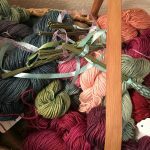 I know that long periods of repetitive motion, as with knitting needles in my hands or bent over my loom, can harm me and put me in danger of physical problems. Does that stop me? No way! So, yes, I have continued to use even though it may make things worse. But I really don’t see using a drum carder as dangerous – usually. So, no alcohol is used while carding, weaving, or knitting. I do engage in one dangerous thing related to fiber: fiber and fiber equipment have filled our house and can be considered a dangerous environment. 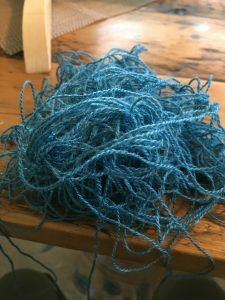 Stepping on beads, stitch markers, and other miscellaneous things can hurt bare feet and bumping into looms and baskets of yarn in the dark night can be hazardous. Ask my partner how I know this. Still, I don’t think things got out of control until a few years ago when I really hit the hard stuff: weaving. Oh my! That’s a deep rabbit hole! I really can’t say how all those looms started accumulating! And I must have been in a black out when that 1973 Gilmore came home with me and joined the herd. Its true: I am more likely to neglect household responsibilities now and I just flat out refused more than one day per week on the income producing job because I am so driven to stay home and weave. And when my partner is writing and I’m engaged in fiber arts, well, we need a keeper. Or at least someone to feed us once in a while. The good news is that I do engage in group therapy. I meet regularly with a weaving study group. Our big book is MdvH’s Complete Book of Drafting. It has more than 12 steps, I will rely on this book for a lifetime, and there is always more to learn from it. I think the group therapy is helping. I no longer search out yarns shops everywhere I go and I can say that I feel satiated for knitting yarns. I stopped acquiring looms and don’t feel any shaft envy at all, even though I only have eight shafts. It is too bad that with three looms having eight shafts each I still can’t weave 24 shaft drafts, but that’s ok. I can accept that. So, I’m hopeful and grateful. I’m going to be ok. I’m learning and growing as a human being and I know I will always need the support of a fiber guild. In fact, I’ll be off to a meeting shortly . . . NOTE: After more than 40 years in health care, with the last 20 in mental health, my current and former clients and patients know that I take addiction and associated struggles very seriously. This is written with great respect for the individuals I’ve worked with and learned from. Many have struggled valiantly to deal with all manner of addictions and I graciously bow to them. It is also written with a wink and a nod to those of us with SBLE (Stash Beyond Life Expectancy) and in honor of those trampled in the crazed stampede at Stitches West. The latter would include my dear fiber enabling spouse who has been run over by wheelchairs, tossed out of lunch chairs, and stepped on mercilessly when we attend the marketplace. And he keeps taking me back.